Infinix Hot 4 is the latest smartphone from the Infinix line to receive an Android 7.0 Nougat update. The update adds new emoticons and the ability to use multiple languages concurrently to the messaging application. The Android 7.0 Nougat update also comes with “Doze” a feature that helps prolong battery life. Better graphics and the ability to switch between applications – and to use them side by side – are two more features included in the update. Unfortunately, Hot 4 consumers reported that the initial version of the Android 7.0 Nougat update contained many bugs. One known bug was the disappearance of the “H+” a small icon in the left-hand corner that indicates when the device is connected to a 3.75G network. Users who had updated their phone were also experiencing shorter battery life, issues with Bluetooth connection (which could be a difficult fix), and random reboots. Battery life is an issue that Android users had been dealing with before the update – but it the problem escalated once the upgrade was installed. Infinix, upon hearing the negative reports of the update, went back to work to create a more stable version. Hot 4 consumers who have updated their cellphones with the latest, and more stable, version of the firmware have reportedly not encountered anymore issues with the update. The Android 7.0 Nougat update was released over-the-air (OTA), but for the users who did not receive the option to update on their phones Tcard and flash versions are also available. Users can find the download for the Tcard version here and the download for the flash version here. 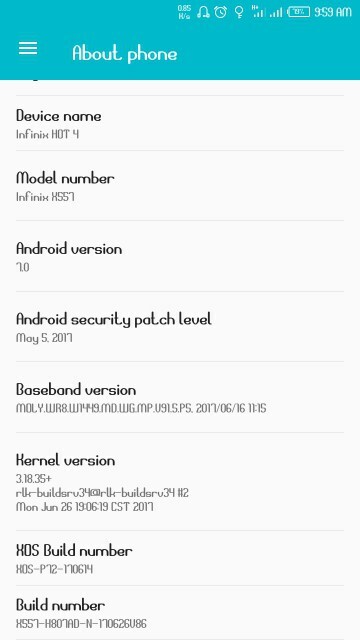 To update using OTA, go to Settings>>About Phone>>System Update. Note: If you have rooted, jailbroken, your phone, there is a possibility that the update may cause your phone to crash. Downloading the update with the flash version would be the best route for anyone who has rooted his or her phone. To ensure the least difficulty when downloading make sure your phone is plugged in and charging. If you are unable to get to a charger, make sure your phone has at least 30% battery before downloading the update. A good Wi-Fi connection is also important when downloading the update. Android 7.0 Nougat is a large update and if your Wi-Fi connection is not solid, you will experience a much longer update time. The Android 7.0 Nougat update comes with the latest version of XOS Chameleon, the 2.2 update. The XOS Chameleon is a customized user interface that allows Infinix users to optimize the usage of their smartphone. After your update is completed, all of the latest features of the Infinix interface should be available to you. If you are having issues with the update, we recommend that you reboot your cellphone in safe mode to determine whether the problem is with the download or your cellphone. 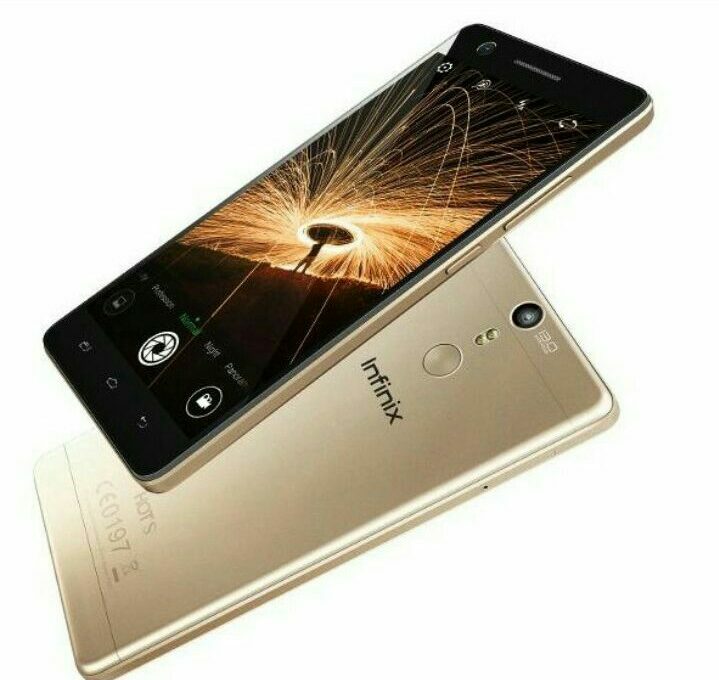 Hot 4, from Infinix, is the best-selling Infinix cellphone. The compact device, 5.5-inches, features a fingerprint reader, 2G RAM, 16 ROM, and an HD display. Not only is the Hot 4 on par with key technological advances, but it is also affordable. Now that the Hot 4 is also running the latest version of Android OS (Nougat) coupled with the latest version of XOS Chameleon, competitors will be envious of the device. Smartphones saturate the market, but Hot 4’s ability to stay updated and affordable makes it a worthy opponent of more well-known smartphones like the iPhone or the Galaxy. Have you updated your phone with the Android 7.0 Nougat update? If so, are you experiencing any issues with the update? Please leave your comments and questions below.